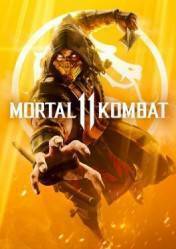 Attention: Mortal Kombat 11 is a game in digital key or Steam key format (although it may also be available in other versions such as Steam Gift), depending on which online store you buy. Depending on the format it must be activated in one way or another. Remember also that they may have regional blocking, so pay attention to this information. Mortal Kombat is back with a new installment of this bloody, iconic franchise of fighting games dating back to the early 1990s. This new installment includes brutal new variations on character customization, giving you unprecedented control of the wrestlers. It has been built with a powerful new graphic engine that shows all the destruction we can cause in our rivals, making it even more spectacular. MORTAL KOMBAT 11: D&#39;VORAH&#39;S FATAL BLOW &amp; FATALITY - REACTION!!! MORTAL KOMBAT 11 - KITANA Reveal Trailer - REACTION!! !